hd00:13River and oil refinery factory with reflection in Bangkok, Thailand. hd00:10Time lapse of dramatic cloudy sunrise at harbor port at Sabah Malaysian Borneo with industrial building at background. hd00:10TIME LAPSE refinery alongside the river. 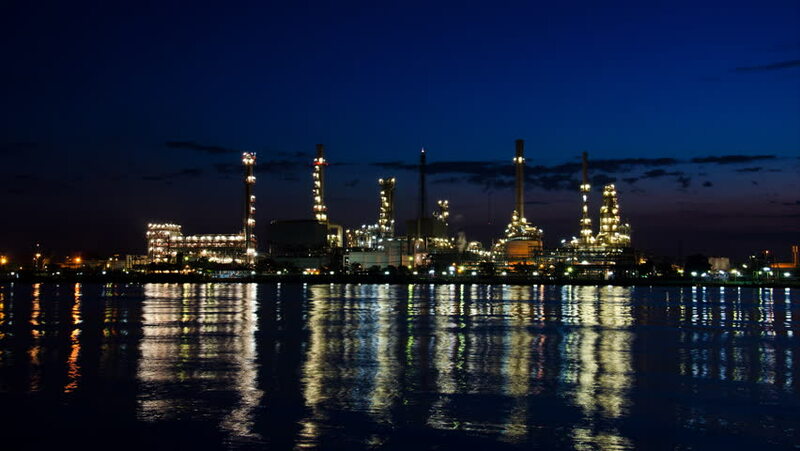 hd00:26Oil refinery with water reflection in twilight time.